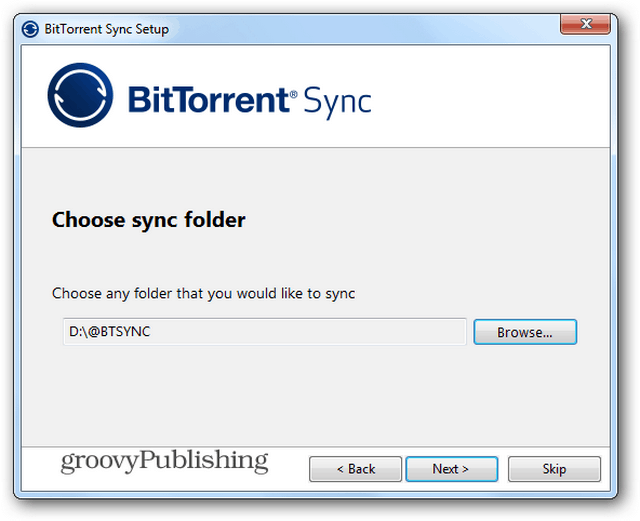 BitTorrent Sync is a process that creates a P2P network among other users and provides unlimited file-syncing with the speed of bit torrent. 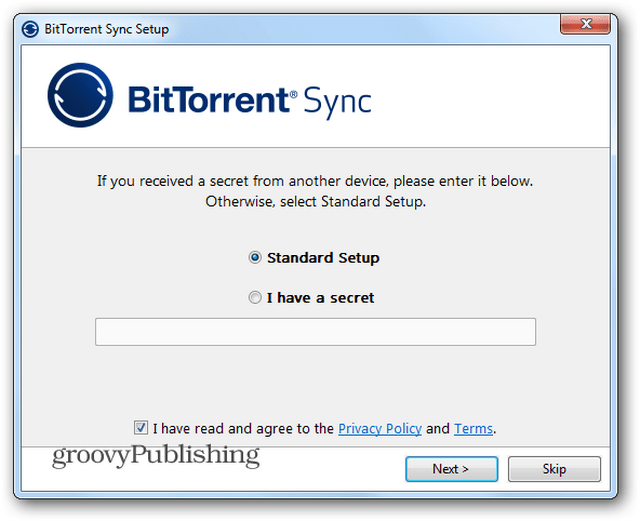 BitTorrent Sync is a great way to sync your folders if you’re paranoid about using a cloud storage solution. 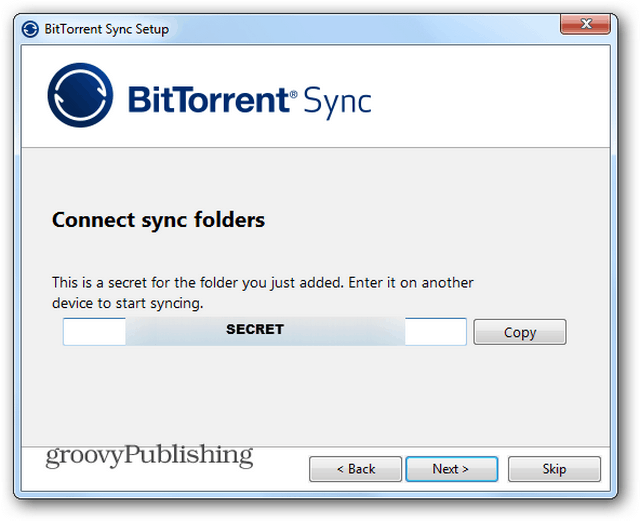 This process creates a P2P network among your computers and provides unlimited file sizes as well as and fast and secure syncing. 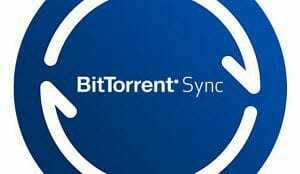 Well, it’s a very easy way of syncing folders across the internet, with all the advantages of BitTorrent technology — especially the speed and unlimited file sizes. It only has one downside – the source computer has to be turned on and online at all times, otherwise it won’t work. If that isn’t a problem for you, this just might be the perfect solution. Basically, you’re bypassing all of the “who has access to my data” worries, because you’re creating your own cloud among other users. However, should the computer you’re syncing with shut down for some reason, you’re stuck with no access to your files. Other than than that, things aren’t much different from cloud services like Dropbox. 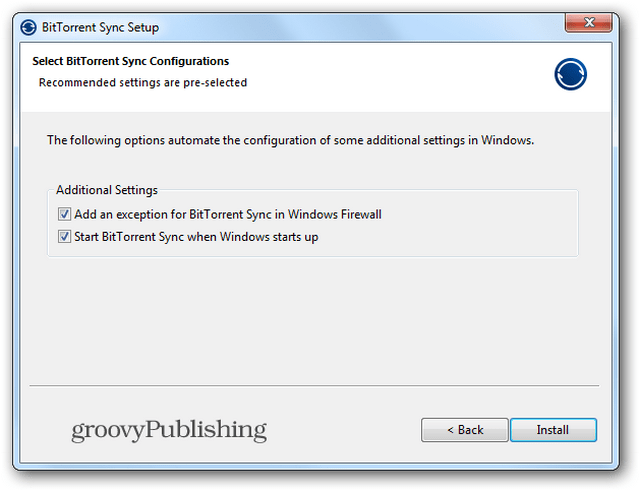 BitTorrent Sync is easy to install. 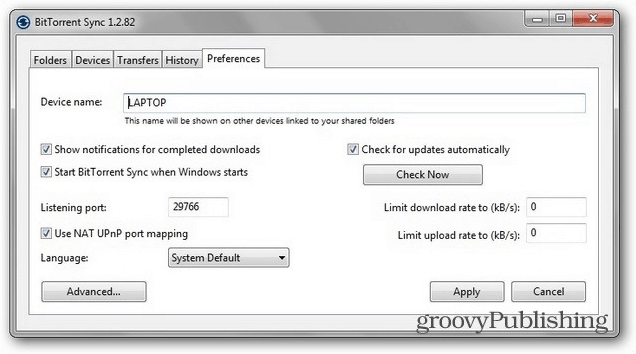 Download the setup file from here to start. It is a beta version, but so far it has worked without a hitch for me. Of course that won’t be everyone’s experience so expect a few snags along the way. During the installation you’ll be asked to add an exception for it in the Windows Firewall, and if you want it to run when Windows starts. If you plan on using it on a constant basis, the answer is Yes to both questions. In the next screen, choose Standard Setup if it’s the first time you’re installing the software. You’ll find out what this Secret business is in a moment. 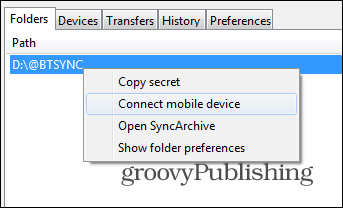 Next, just like you would for any cloud solution, choose the folder to sync. Now you’ll get a secret for the folder you shared. Copy it and paste it into a text document and make sure to save it in a secure location. In fact, you might want to print it out and store it somewhere safe. You’ve completed setup, but nothing will happen until you install the software on the other computer you want to sync the folder with. No cloud, no uploading all of the files in the folder the moment setup is completed. Now, when you install the software on the other computer, choose “I have a secret” in the third screen of the installation. If the source computer is on, your folder will start syncing immediately. 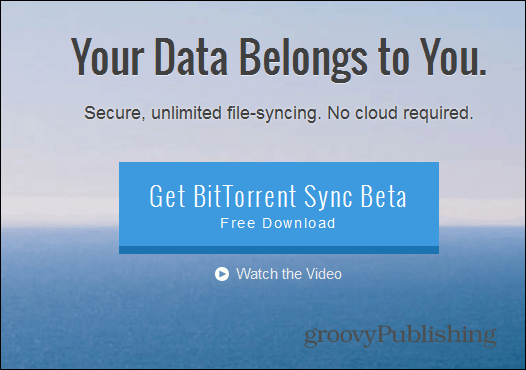 The speed is better than what I’ve experienced with Dropbox – it’s BitTorrent after all. I synced a 1GB folder of MP3 files and average speed was at around 900 kilobytes per second. The interface of the software itself is nothing to write home about; it’s simple but functional and gets the job done. You have a Devices tab, shown above, one showing you the current transfers in progress, one showing folder(s). In Preferences you can set things such as the port being used, as well as limit the upload and download rates. If you’re on a slower connection, you might want to do the latter, so the software doesn’t take up all of your bandwidth. 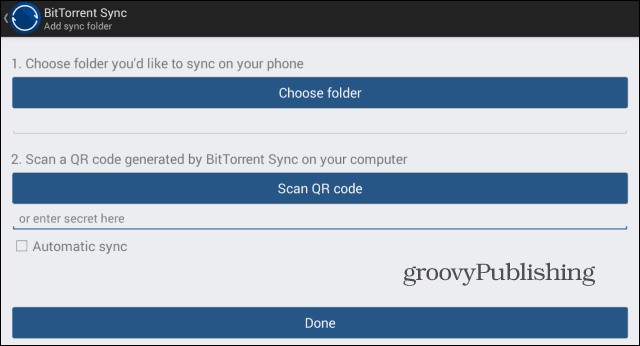 BitTorrent Sync also has free Android and iOS apps, so you can sync your files on the go. I’ve tested the Android one, which you can get for free from the Google Play Store here. The iOS version is available from the iTunes Store here. You’ll use a secret to connect to a folder here, too. You can also generate a QR code which you can scan with your mobile device’s camera. To do so, fire up the desktop app and right-click the respective folder in the Folders tab. A QR code will be shown and you can scan it with the camera. You’ll also choose where the new files will be synced. 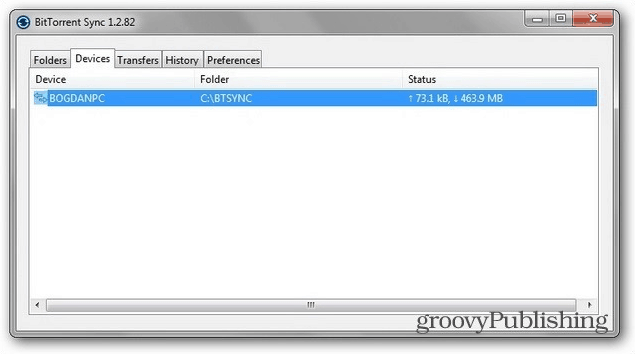 Once the folder starts syncing, you’ll see it under the Sync tab. Clicking the gears icon next to it will allow you to decide whether you want it synced automatically or not. 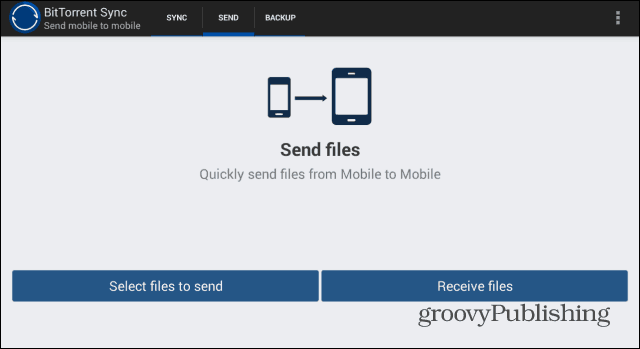 Another interesting feature of the app is it allows you to easily send files between devices. To do so, go to the Send tab and tap Send files. Choose the files you want sent. The app will generate a QR code which the other device can scan in order to receive the files. Of course, it must have the app installed, too.